I love competitive running. But I hate training. It’s just so mind-numbingly dull. I never do enough. But there’s one thing worse than training though – and that’s realising, whilst running, that you should’ve done more training! It was my 4th Great North 10k on Sunday. 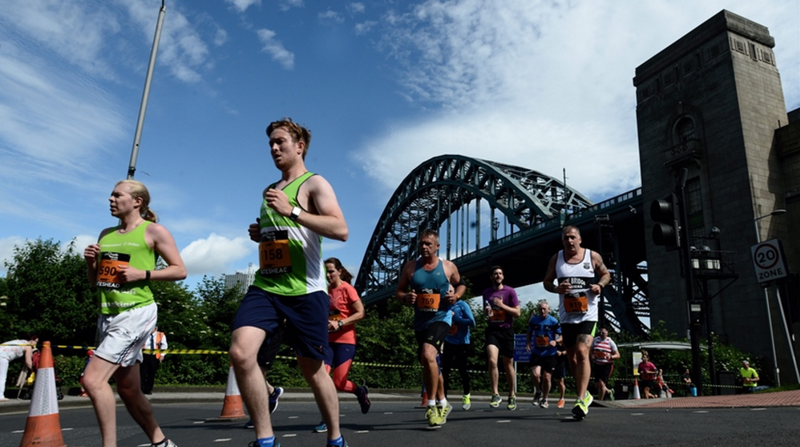 It’s a 10km road race that starts behind Gateshead Stadium, drops down to the River Tyne, winds its way around Gateshead’s iconic Quayside – under the famous bridges - then back up the hill (I’ll come back to that hill in a bit) to the finish line inside the Stadium. For many runners, myself included, the Great North 10k is used as their first ‘warm up’ race for the Great North Run. With 2 months ‘til the big day, it allows you to see exactly how well your training is or isn’t going…and up the ante if needed! As I left home, I was already feeling the adrenaline buzz. I parked up at Gateshead Metro station (just one stop from the start line) and there was not a runner in sight. But, as I began my descent to platform level, the short-sporting, bib-wearing, leg-stretching throngs quickly began to appear. And, soon enough, we were all sardined onto the next train for the short ride down to the stadium. As I got to the start line, the ‘fine’ morning was starting to hot up, the breeze was dropping, the humidity was closing in. Warm ups done, and we were off. The first 2k down to the river were a breeze, I was making great time. 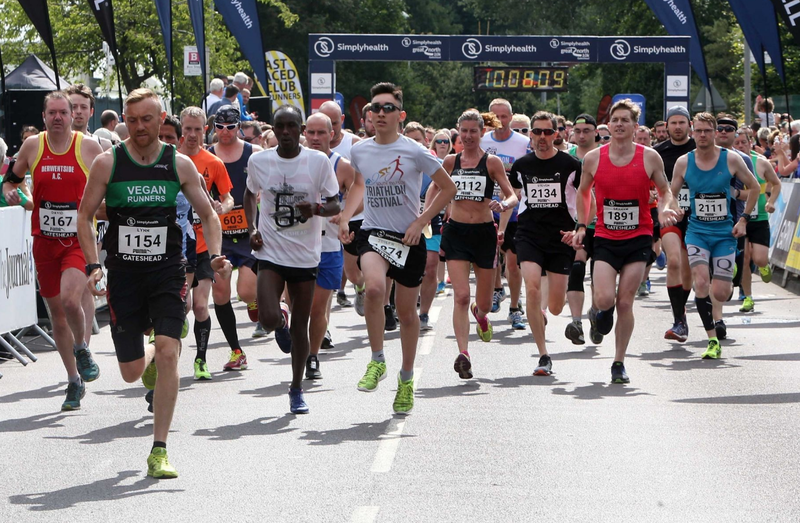 At 3 and 4k, the heat was starting to build, like someone was turning up the gas mark steadily! This was going to be tougher than I’d thought. And, by the 5k point, I swear we’d actually been beamed onto the surface of Venus. By 6k, it just wasn’t funny anymore. I could feel my pace (and life force!) dropping. Yeah, probably should’ve considered a ‘smidge’ more training to get through this. BUT, at 7k, I had a “boost”…my wife had brought my 2 young sons down to cheer me on. Their faces were buzzing seeing me. I was buzzing too! A couple of high-fives later and I was back on track – forget you fatigue, Bridgewood’s back in the game! That lasted about a kilometre. Then I returned to the surface of Venus, legs now turning to jelly. By 8k I had developed a new running style (I can only imagine it was the same amazing buzz that Fosbury experienced when he invented the flop!). Without getting too technical, I realised that if I kept my legs going and just started to lean forward, momentum would carry me home! I call it the “Great North Lunge”. I spent the rest of the race with the threat of mistiming my new technique and planting my face into the tarmac. Just as I was congratulating myself on my new revolutionary method, I turned the corner and THERE it was. The hill. The hill they call the “Slog On the Tyne”. The hill they should install escalators on because making us run up it was frankly just cruel. BUT I made it to the top, just. And into the stadium I went…onto the track…and over the finish line. Of course, I’d like to think I finished the race with the same elegance and grace as our Olympians who usually compete at this venue. Truth be told though, I probably resembled a bag of spuds rolling down a hill. It’s probably something to do with their commitment to a consistent and extensive training regime, or something like that. Think I’ll have a look into that for my Great North Run.